The Network of County Development Centres supports the development of businesses with consultations and trainings. In co-operation with entrepreneurs, we help to promote their business ideas! We counsel potential and start-up companies as well as already operating businesses. We offer entrepreneurs regular support in the form of both Mentor Club and trainings. Our Network employs more than 40 business consultants and 7 experienced entrepreneurs’ consultants. Establishment of a company, writing of a business plan, development of your business, etc. – do you need help in the very beginning or later? The Network of County Development Centres will help you to give your business idea a go! We counsel potential, start-up and operating companies in each county in Estonia. Let us know in which field you need counselling: business consultancy, finances consultancy, writing of a business plan, establishment of an enterprise / private limited company, etc., and we will help you make your ideas come true! In the county development centres, consultations are available in Estonian, Russian and English. The Network of County Development Centres has carried out more than 35,000 consultations for various companies and non-governmental organisations. General business consultancy, starting an enterprise/company: establishment, registration, etc. We counsel potential, start-up and companies in each county in Estonia. Let us know in which field you need counselling and book an appointment. We counsel operating companies in each county in Estonia. Let us know in which field you need counselling and book an appointment! We bring together start-up companies and successful and experienced entrepreneurs! Participating in the Mentor Club, you can learn best practice directly from experienced entrepreneurs. to expand your contact network. Mentorship programmes take place in Harju and Ida-Viru Counties in Estonian and Russian. In order to participate in a mentorship programme, you should submit your application to the county development centre where you are willing to attend it. For the club meeting times, contact us. The county development centres organise visits to international trade fairs, which entrepreneurs can attend. The aim of the visits is to help representatives of businesses access the fairs and the possibilities they offer. Visiting fairs, entrepreneurs can get a wider view of what is happening in various markets so that the experience gained will motivate them promote product development in their own businesses in order to enter new markets. We encourage the participants to notice and find possibilities of how to grow their export business. We create opportunities for entrepreneurs to get acquainted with new products and technologies which need to be competed in the international markets. With visits to fairs, we create prerequisites for the formation of social networking with other Estonian businesses on export support. All companies which are registered in the Estonian Business Register and could benefit from a relevant trade fair can attend the visits. To choose between the applicants, the companies with bigger export potential are preferred. The visits are paid by the participants themselves, the precise fee can be found on each fair’s information leaflet. 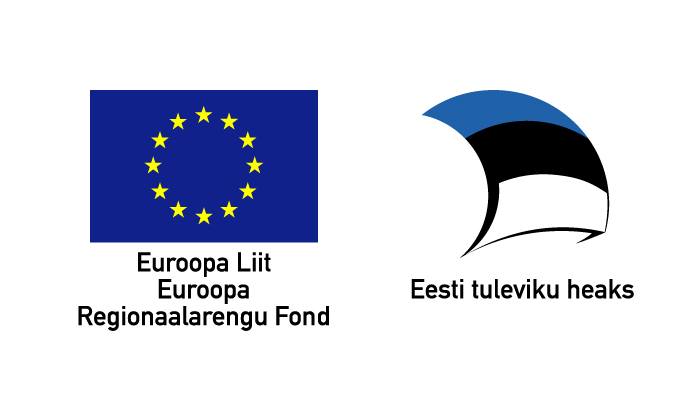 The trade fair visits are co-financed by Enterprise Estonia (EAS) with the help of European Regional Development Fund. The development of a business demands constant personal development – we arrange trainings for starting and operating entrepreneurs to help them carry out their business ideas, manage human resources, market their businesses, etc. Trainings are organised by each county development centre, which enables everyone interested to participate in the business training near their home. Business trainings are provided in Estonian and Russian, while the latter take place mostly in Harju and Ida-Viru Counties. For start-up companies, we offer basic trainings which take place in each county every year. A basic training for start-up companies is a good take-off ground to start your business – see further.